A spring time favorite is back! 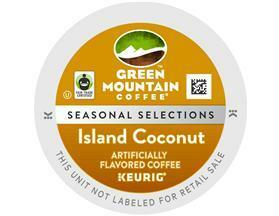 Island Coconut is a well balanced coffee with delicate coconut flavor that transports your sences to the tropics. Fair Trade Certified. Indulge your senses with this delightfully fragrant, tropical taste treat. 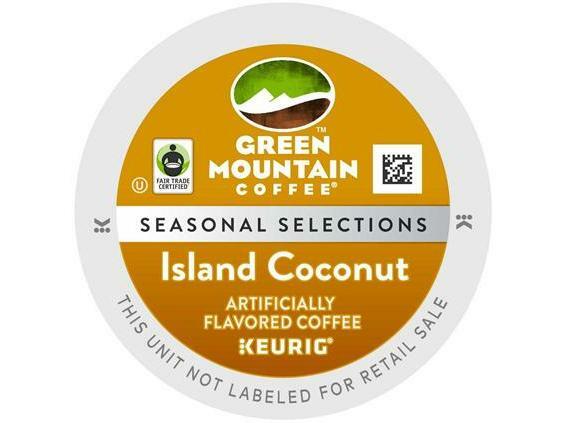 We've captured the lush aroma of freshly grated coconut — fruity, fresh, exotic — and blended it with the subtle sweetness of a lightly-roasted, Central American coffee. The result is as refreshing as it is unexpected. Be transported to your own private island paradise with our Fair Trade Island Coconut... it's one sweet destination! Our Flavored coffees do not use sugars or sweeteners of any kind. This coffee is very weak and tastes like artificial coconut flavored water. I like my coffee to taste like coffee. I don't like it no matter how much sweetener or milk I put in. I even tried making the small cup mixed with a stonger coffee pod, and it's still unpleasant to me.